John George Kripas, 78, of Westminster, MD passed away peacefully in the early morning hours of Thursday Nov 29th, 2018. He was born in 1940 to John and Mary Kripas in Cressona, PA.
John was a member of the Steamfitters Local Union 602 and a long term trustee on the apprenticeship committee. John was a proud veteran of the US Navy serving time aboard the destroyer DD-762 Henley during the Cuban missile crisis. He retired from Carrier in 2000 after 32 years of service. He enjoyed his family, traveling, time in the field hunting with his beagle and fishing. 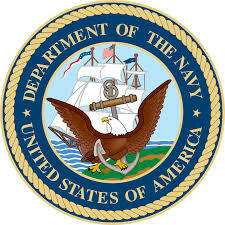 He was also very active with the reunion efforts and finding lost Navy shipmates. He is survived by his loving wife of 53 years Mary Ann, his brother Ronald and sister Maryanne; his two daughters Cindy and Sandy and their husbands; five grandchildren and several nieces, nephews and cousins. A funeral mass will be celebrated at St John Catholic Church (43 Monroe St, Westminster, MD 21157) on Wednesday Dec 5th at 10:00am. That will be followed by a gathering at the church in the reception room for short luncheon. For those that would like to make the trip, there will be a graveside memorial service at 3:00pm at Indiantown Gap National Cemetery in Annville, PA. The location below is approximately 90 minutes northeast of the church. In lieu of flowers a memorial donation can be made in John’s name to Carroll County Hospice at https://www.carrollhospice.org/make-a-gift.